For many people, horses offer a lifeline to a happier, healthier place. 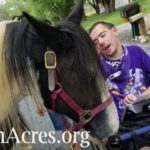 From children with disabilities to veterans with PTSD to teens suffering from anxiety and depression – research shows that horses can play a role in helping people achieve physical, mental and emotional benefits. 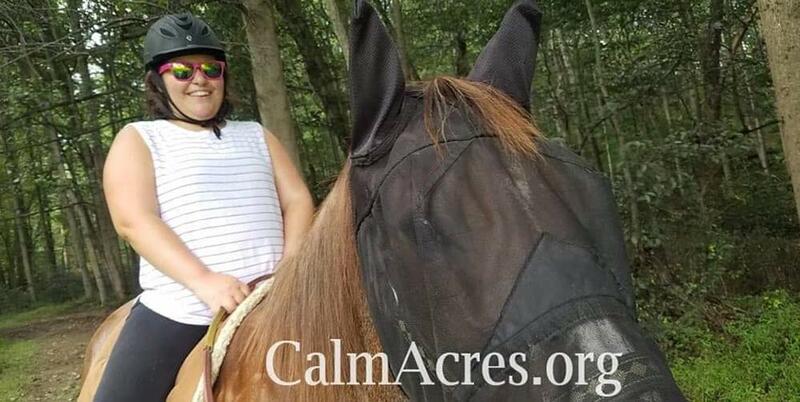 There are several equine therapy and learning programs in Carroll County. 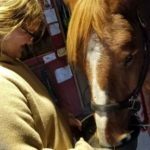 According to PATH International, the Professional Association of Therapeutic Horsemanship, for individuals with emotional challenges, the unique relationship formed with the horse can lead to increased confidence, patience and self-esteem. Research shows that equines have well-developed abilities of perception, cognition, memory, and emotions such as pain and fear. Equines are able to perceive, respond to and learn from the impressions they receive from minimal sensory stimuli, according to PATH. 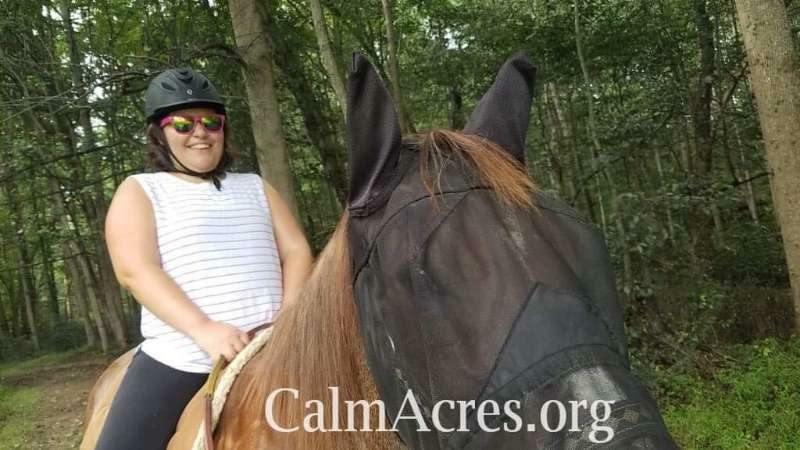 There are different types of equine therapy including equine-facilitated psychotherapy, equine-facilitated learning, hippotherapy and therapeutic riding. Teresa Perrera and her horses work with clients at her Hampstead-based Calm Acres at Meadow Creek Farm. 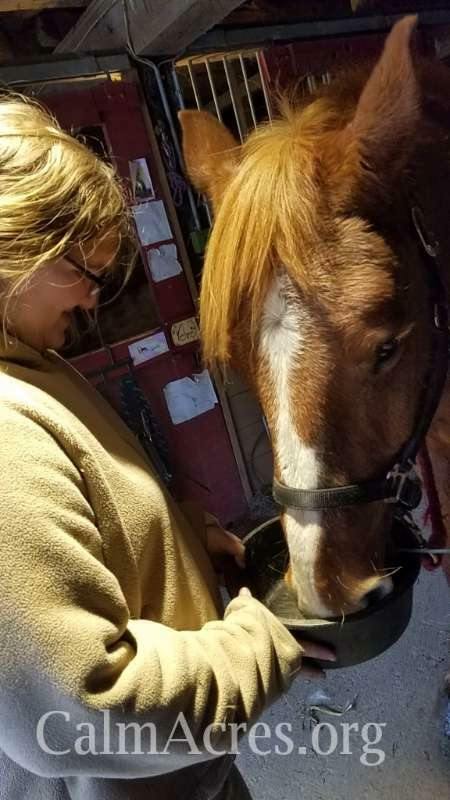 Her focus is on equine facilitated learning and she said her programs help people build relationships with horses in order to improve skills and meet goals depending on their unique needs. Perrera said for some of her clients just standing with a horse and gaining a comfort level is an achievement. For others, it’s actually riding the horse that provides benefits. Everything she does is based on the client’s goals and needs and sometimes that is just handling a horse. She said clients work on everything from increasing physical strength, balance and motor skills to improving emotional skills like socialization, building self-confidence and increasing self-awareness. 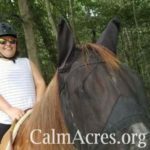 Learn more about Calm Acres at Meadow Creek Farm at www.themeadowcreekfarm.com. 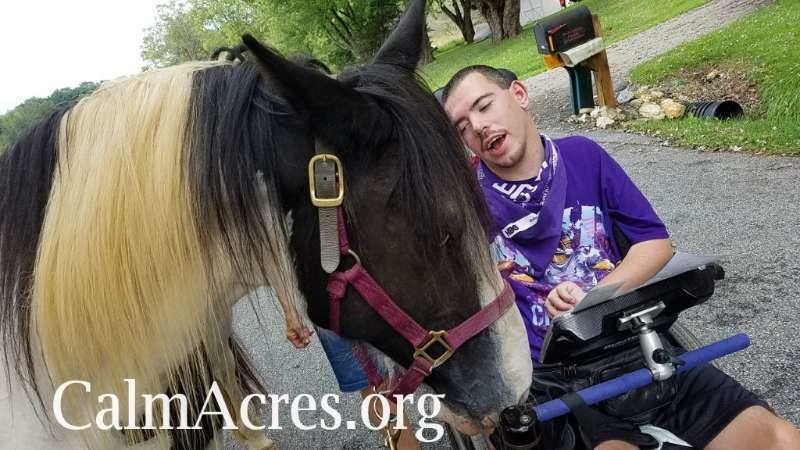 For therapeutic riding program information, contact the 4-H Therapeutic Riding Program of Carroll County at http://www.trp4h.org.